Meringue is the true melt in your mouth experience… When done right!!! The hard outside and the smooth and mallow inside texture of meringue is the reason behind the world’s love of this cloud-like food. Ask anyone and they will tell you that a Baked Alaska is an incredible experience that showcases a balance between hot and cold, hard and soft, sweet and savoury! The same applies to Pavlovas, Meringue kisses, Meringue Cakes, the loved Floating Island and of course the amazing Lemon Meringue Pie…. Some foods are just too good to miss out on, and some experiences are unique and fully satisfying to the palate… Such is meringue! 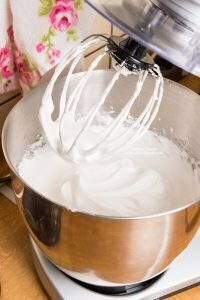 Are you fascinated by the way egg whites rise when whipped? Do you think Meringue is the hardest thing to perfect? Have you had trouble whipping the Meringue? Did you ever wonder why meringue pies weep and shrink? Do you know the difference between French, Swiss and Italian Meringues? Is meringue cooked or uncooked? …. if you have been wondering and want to understand meringue, then read on, because I am letting you in on all things meringue, on why meringue can go wrong, and ways to prevent it!! Eggs are possibly the most remarkable ingredient in the kitchen. Eggs totally transform to a new shape and acquire new properties with every cooking method used. This has enabled cooks to use eggs in a variety of concoctions as well as enabled the creation of many of the dishes we know today. Perhaps beating eggs is the one discovery that forever changed the face of cookery. It is through beating eggs that dishes such as soufflés, Meringues, Sabayons…etc. had come to life. Even specific types of cake, such as Angel Cakes, Meringue Cakes and Chiffon Cakes, would not have been possible without the discovery of the effects of beating eggs. For this reason, I am exploring with you the Egg Foams, and specifically for the making of Meringue. 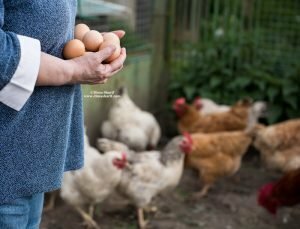 Normally, physical agitation (produced by beating) destroys structure, but not for eggs. Beating eggs actually creates structure. For example if you place an egg white in a bowl and beat it with a whisk, in a few minutes you will achieve a glossy foamy texture that clings to the sides of the bowl when turned upside down! This same structure becomes firm and brittle when cooked, holding its own shape. This foaming ability that the eggs have is basically, the ability of the egg whites to cling to air and make it an integral part of the ingredients making up the dish. Therefore, through beating the egg white, we are incorporating air, which is encased by the egg whites. This starts the build up of a foam. The more this foam is beaten, the more volume it acquires as more air is incorporated… The chemical and physical makeup of the egg whites (its proteins), make it a less runny liquid which allows it to hold its form when foamed. Which is why the egg foam survives as foam, longer than that created with other liquids. That’s the reason why when whipped into stiff peaks, egg whites can hold perfect shape, allowing us to pipe it into detailed decorations, such as when making meringue moments/kisses or in the case of royal icing. The addition of sugar to egg whites, adds density to the foam, making it more stable and thicker. It is usually added to egg whites after they had started foaming. But in some cases it can be added to the egg whites on the outset, which is done when a very firm, and dense foam is required (this is the most used method for commercial production of meringue). This is especially true when the meringue is going to be piped, or used in the creation of details. The below video explains, really well, the stages of beating egg whites, so watch it to better understand the next section. Beating egg whites results in foam, once the foam is achieved continuing to beat will result in the formation of soft peaks, these are peaks that curl up when you remove the whisk. Usually sugar is added at this stage. Then, further beating will result in the formation of firm to stiff peaks. Stiff peaks remain firm and straight once the whisk is removed. At this stage the foam should keep shape, and cling to the sides of the bowl, when flipped upside down. A Meringue is a sweetened egg white foam that is stiff and stable enough to hold shape. There are different types of meringue, such as French, Swiss and Italian meringues. The difference lies in the stage when sugar is added, or whether or not this sugar is subjected to heat. The video below brilliantly explains meringue types and how to make each. Take a look. This type is the simplest and most commonly used. It ranges from creamy to dense and stiff. The lightest consistency is achieved by beating the whites first to soft peaks and then gradually folding in icing sugar. This creates a soft frothy consistency suitable for spreading, yet too soft to pipe or shape. If soft caster sugar is beaten in, instead of folded in icing sugar, you will achieve a creamier and firmer consistency. The longer you beat this egg and sugar mixture the stiffer it becomes, and the more suitable for piping and creating shapes it is. However, there is a limit to the amount of whipping before you actually over whip the egg whites as you have seen in the first video. There is an array of methods to incorporating the sugar into egg whites. What is worth noting here though, is that the earlier the sugar is added, the firmer and stiffer the meringue is. The later the sugar is added, the softer the meringue turns out. This type is trickier to make and results in a denser meringue than the uncooked type. This type is also less brittle than the uncooked meringue, and absorbs sugar more readily as the sugar dissolves better in hot liquid. The partial coagulation of the egg whites creates a more stable meringue, which can sit without separating for a day or even more! This makes it the favourite meringue to use in pie making as you have seen in the video above. Good to know – This meringue is also safer than uncooked meringue, as the heat kills potential salmonella bacteria. Therefore, cooked meringues can be stored in the fridge – in an airtight container – for several days. This is a meringue that is made by using hot sugar syrup (sugar and a little water are boiled to “soft ball”). The whites are whipped to stiff peaks, and then the syrup is streamed into the egg whites while continuously beating. This meringue is usually fluffy yet stiff enough to use in decorating pastries such as pies and tarts. Itcan hold for a couple of days before use and holds very well without weeping for a couple of days too. This meringue is also light enough to be incorporated into the making of other desserts such as cake batters, and creams…etc. This meringue is usually made by placing sugar, eggs and some acid (like cream of tartar, or lemon juice) into a bowl over a water bath or a double boiler, and the mixture is whipped to stiff peaks. The bowl is then removed from the water bath and the mixture is whipped until it cools. This method also pasteurises the eggs and therefore produces pasteurised meringue, which is very useful for commercial purposes. Whichever way you decide to prepare your meringue, you should always watch out for “Meringue’s 3 Enemies”, which will cause it to flop and not get the proper texture. These 3 enemies are: egg yolk, fat or oil, and detergent. These impurities will interfere with the foaming process and will lead to an unstable meringue even with prolonged whipping. With that said, egg yolks and fat or oil can be incorporated into the meringue after the completion of the foaming process (after the meringue is achieved) as in the case of egg leavened cakes, and the making of soufflés . We all know that meringue can go wrong! Weeping, Grittiness and Stickiness are the most common meringue problems. But what exactly causes them? Weeping and beads are also caused by undissolved sugar. Therefore it is best to use caster or icing sugar rather than granulated sugar. This is also true for under-cooked sugar syrup. With that said the best way to prevent weeping meringue is by making a cooked meringue, the Italian meringue being the best option, just make sure to properly cook the sugar syrup as even small particles of undissolved sugar will lead to weeping. Small particles of undissolved sugar in the sugar syrup will also cause grittiness. In uncooked meringues, undissolved sugar (resulting from using large grain granulated sugar and adding the sugar all at once) will also end up with a gritty textured meringue. Meringue pie toppings can weep and shrink away from the base, this can be a result of undercooking, or cooking in a high temperature oven, which browns the meringue before the egg whites had the chance to gelatinise. 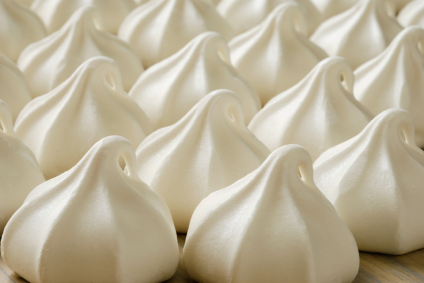 Humid weather is bad for meringue, as they absorb moisture, which will make it soft and sticky. It is hard to control weeping when the pie is old. In fact, if it was done right and all was well, weeping is an indication of old pies. Check if the pie weeped before purchasing as that factor indicates freshness/staleness. Weeping, softness or stickiness are all indications that the pie is old. Now that you know how meringue is made, how to prevent meringue troubles and how to make my best ever Lemon Tart (recipe on this link), you are ready to take on the all-time favourite Lemon Meringue Pie (recipe on this link). Otherwise, you might want to try your hand at this gorgeous Soft Meringue Pavlova (on this link). Your tips are fantastic as is your recipe as are your pics! Is there anything you cannot do??? 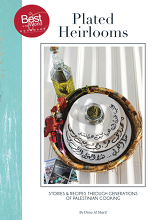 But have to say, I really enjoy reading your recipes too, super scrumptious!! Yum..
Wow, so much information about meringues, and so useful too! I have to admit having had a few problems with them in the past. Hopefully I won't any more! Thanks for entering it into Alphabakes as well! I love lemon meringue pie – it's one my of my favourites although I've never made one myself. thanks for all the handy tips about meringue, perhaps I could attempt my own now 🙂 Great entry for alphabakes! So many great tips, I will definitely bear them in mind next time I whip up a meringue bake! Lemon Meringue Pie is one of my all time fave desserts, yours looks so delicious! Just beginning to find more and more in your blog that I want to read. I made some savoury macarons, which texturally and taste were great. But I couldn't get a perfectly smooth rounded top. I have managed this with sweet ones so I assume t must be the jack of sugar. I wondered if you had any more in depth knowledge about this or a recipe for savoury ones. the sugar melts as it bakes which causes no lumps and therefore the smooth tops of sweet macarons. But it also depends on the ingredients you are using in the macarons that can contribute for a rougher finish. What are you adding to them? if anything is not powdered then most likely it will have texture regardless of how finely chopped. But I find that in this case texture is in fact pleasant, rustic and makes it different. It all depends on what you are using, the state of the ingredients. If this does not help then show me the recipe and I can help more when I know what you are dealing with. You have given some amazing insights about making meringue. Thank you and the pictures are great too!